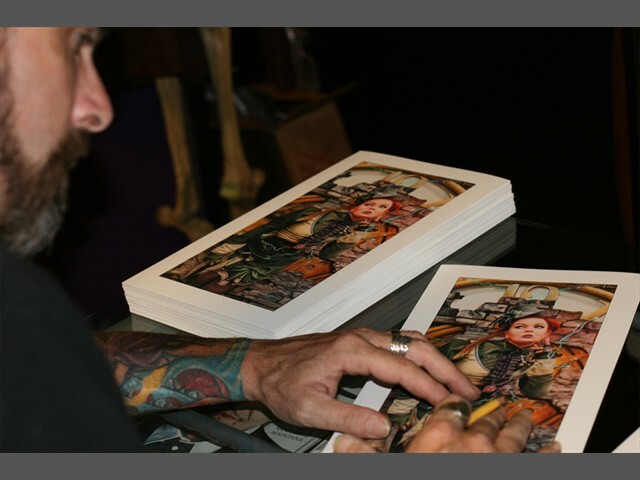 Out of Step Books, Bike art Media, Pint size Paintings to name a few. 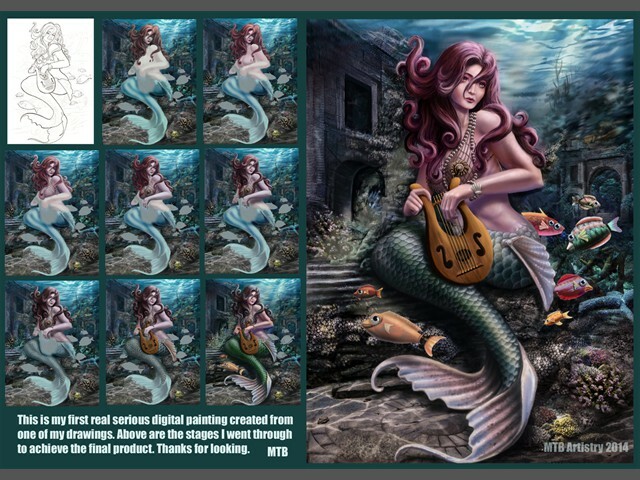 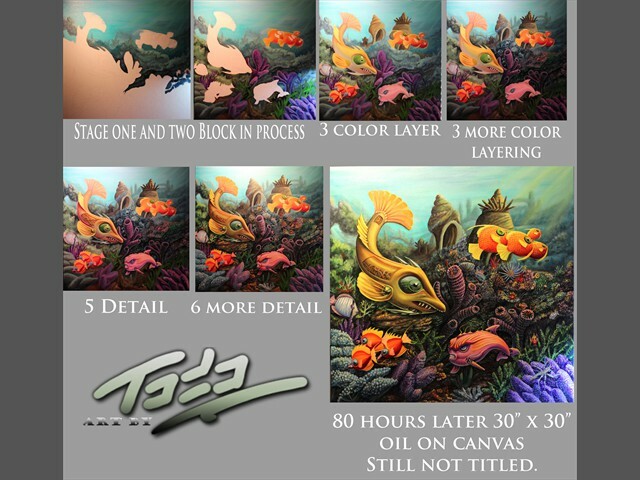 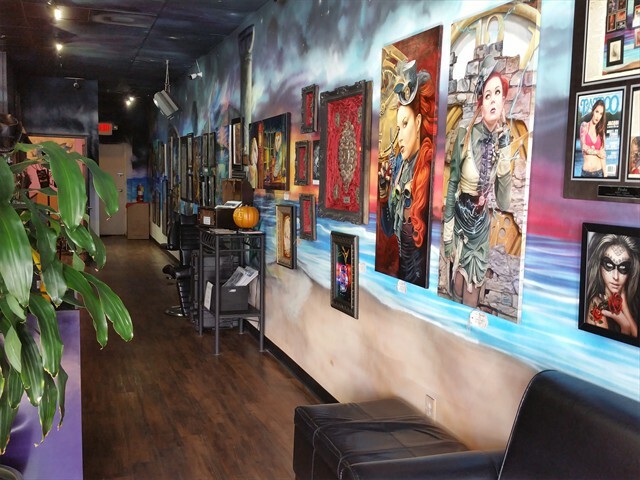 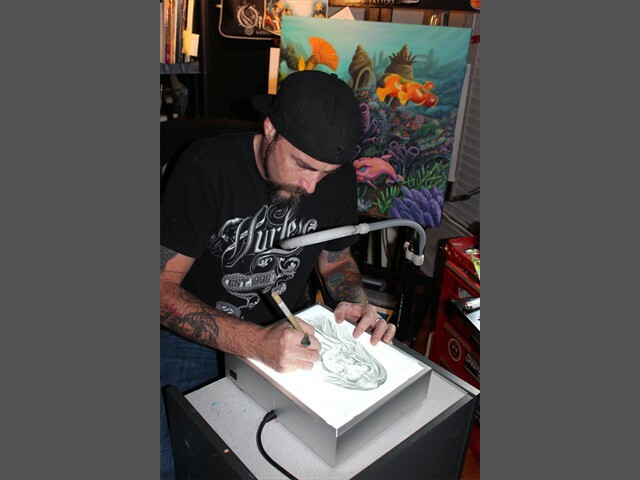 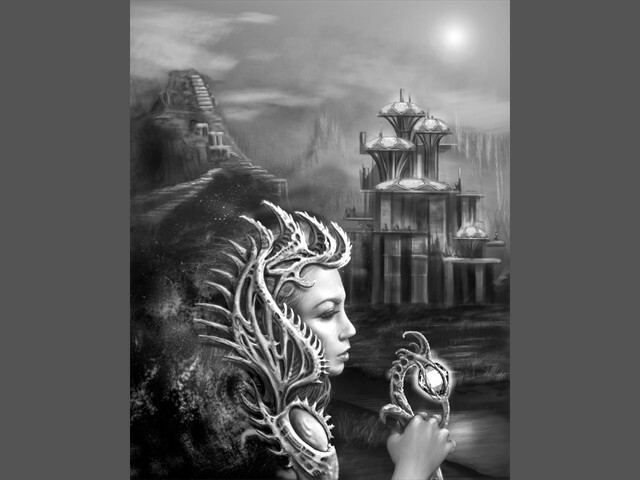 Todo works with many different mediums including Oils, Charcoal, Airbrush, Tattooing, Pen and Ink, Acrylics and Digital. 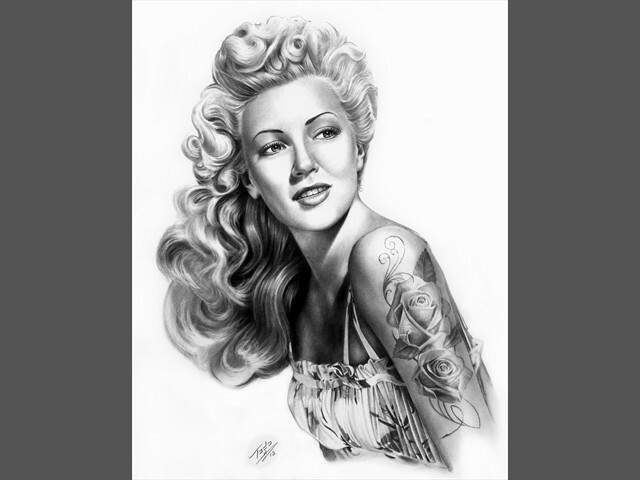 "Angelina Jolie" and "Tattooed Lana Turner" portraits are both done with Graphite pencils. 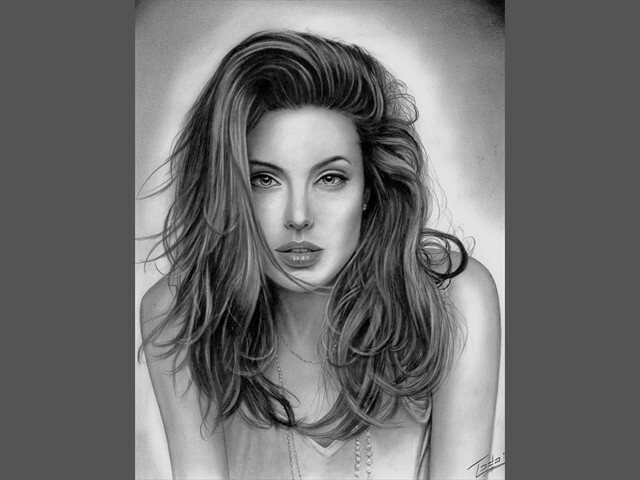 Each portrait can take from 15 to 40 hours to complete depending on complexity. 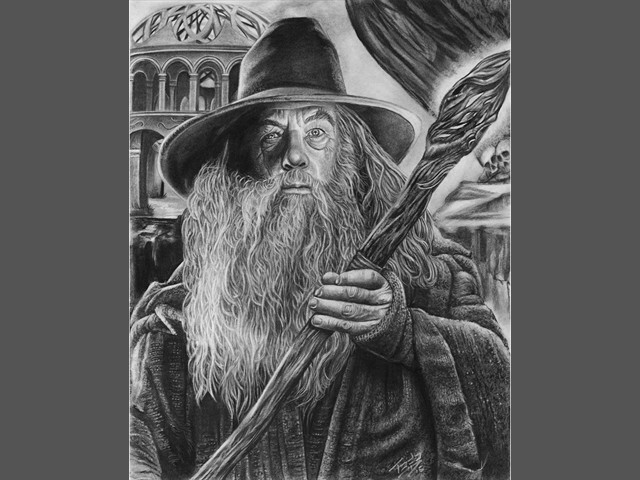 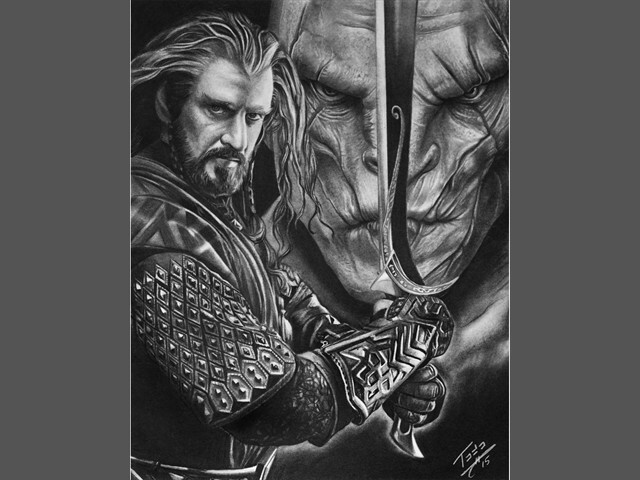 Lately Todo has been creating some Charcoal art from the movie "The Hobbit". 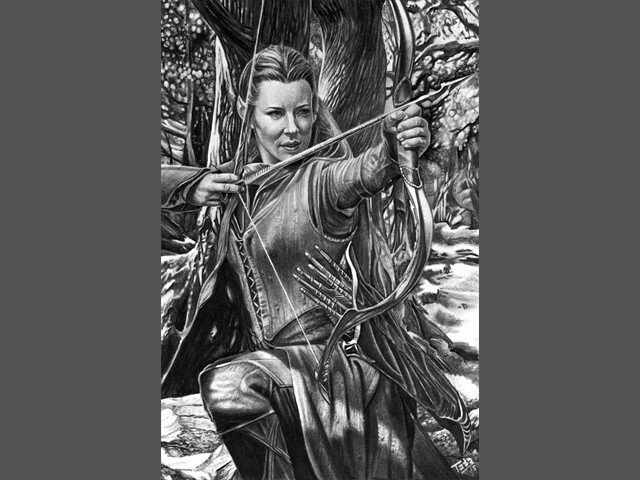 "Gandalf the Grey, Tauriel the archer and Azog / Thorin"
"Alien Queen" was created in Photo shop on a Wacom Tablet. 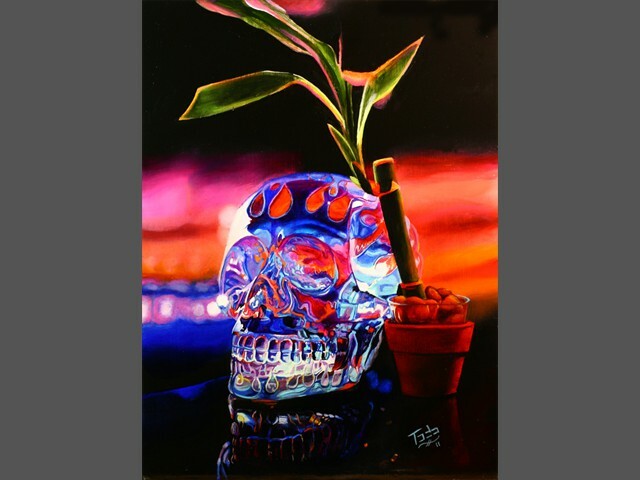 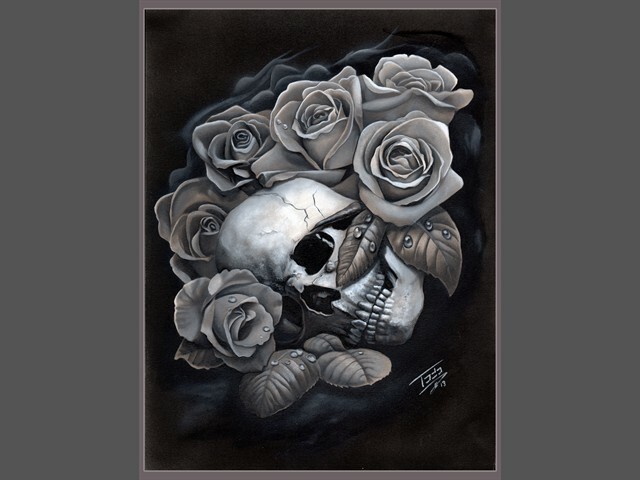 Skull and Roses " Dirt Nap" is an oil painting and was used for an ABT Tattoo t-shirt design. 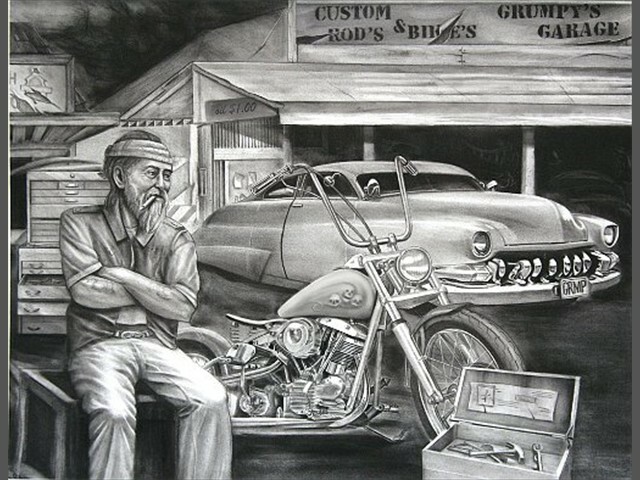 Grumpy's Garage was a commissioned charcoal pencil drawing. 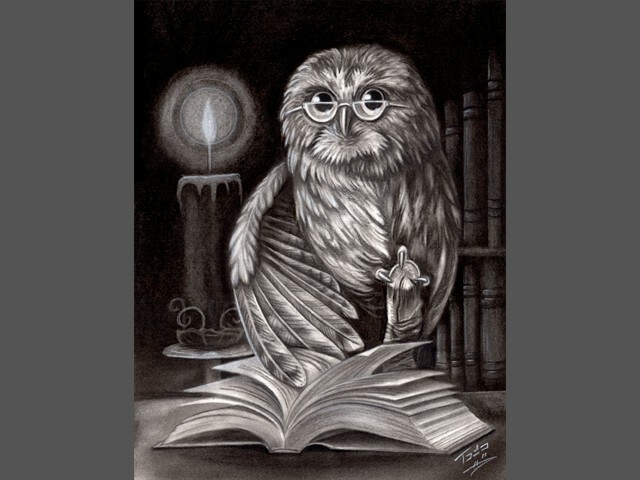 and owls you just can't go wrong. 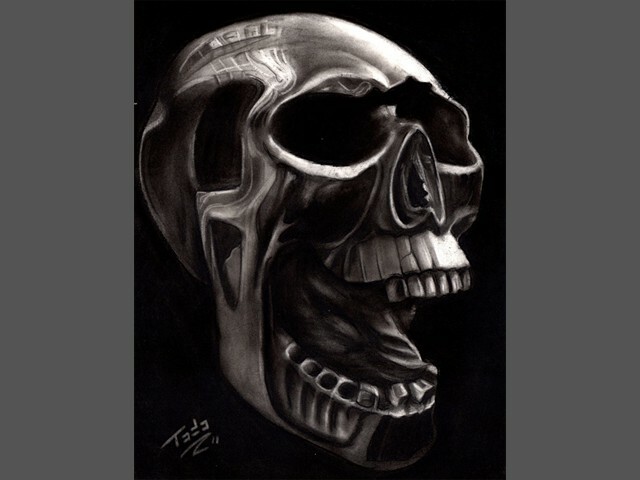 Heavy Metal Skull done with Charcoal sticks. 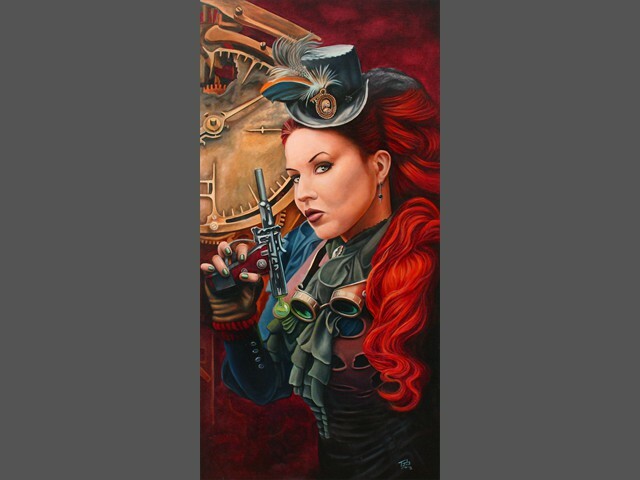 "Scarlet" and "Passing Time" Steam-punk art was created in oils using his favorite Steam-punk Model MADmoiselleMeli. 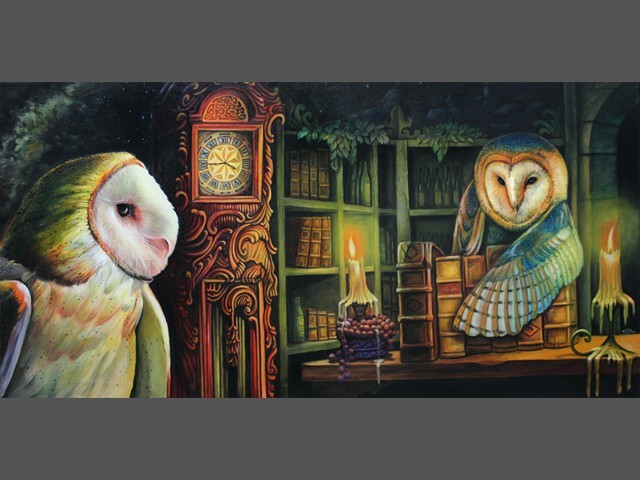 "Dance of the Firefly" and yes more Owls where created in Oils. 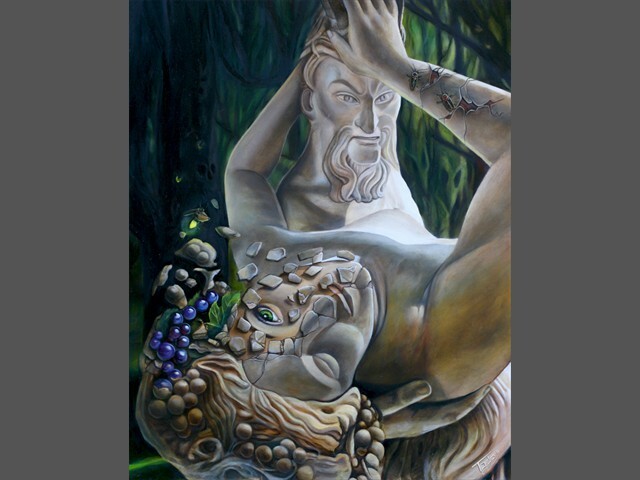 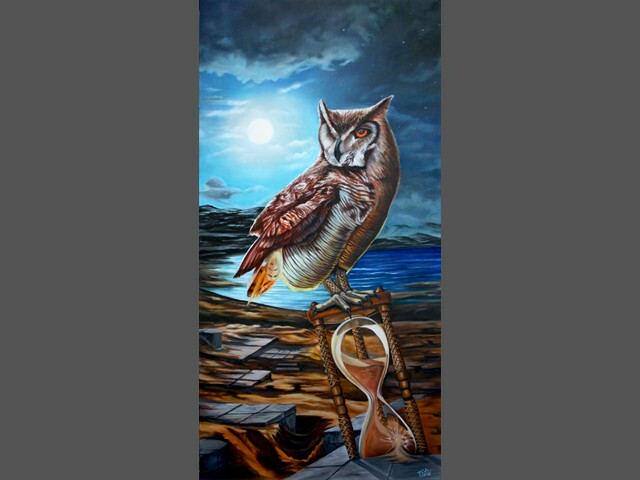 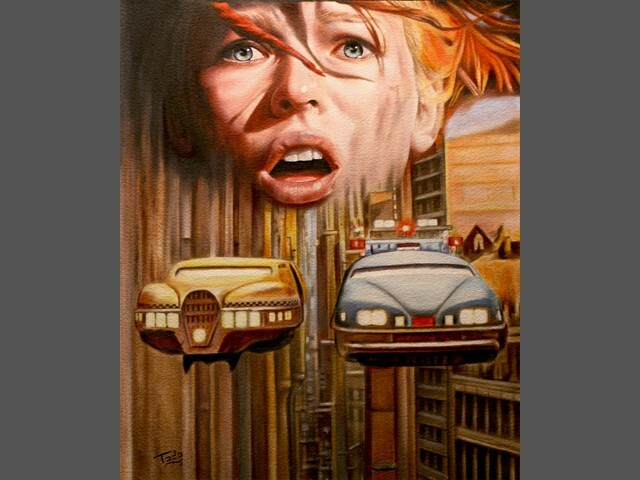 "Sands of Time" Oil painting on Canvas. 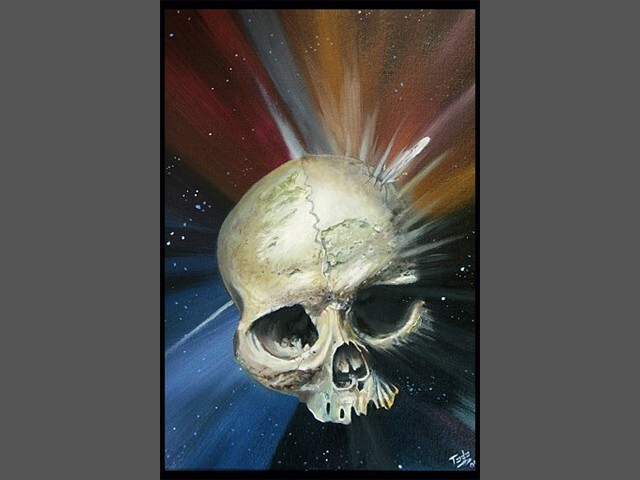 "Head Space" skull oil on board. 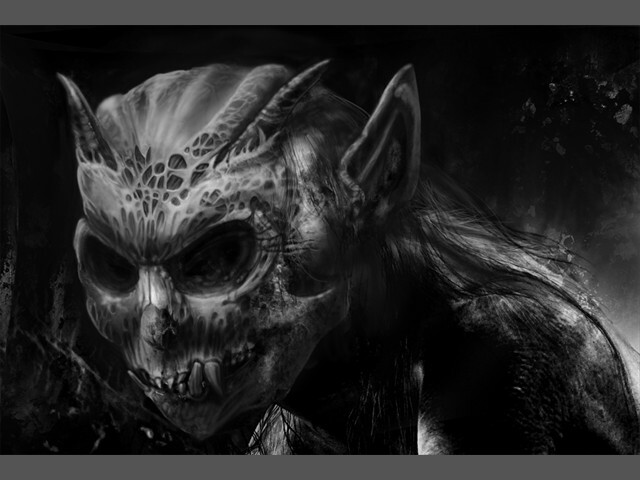 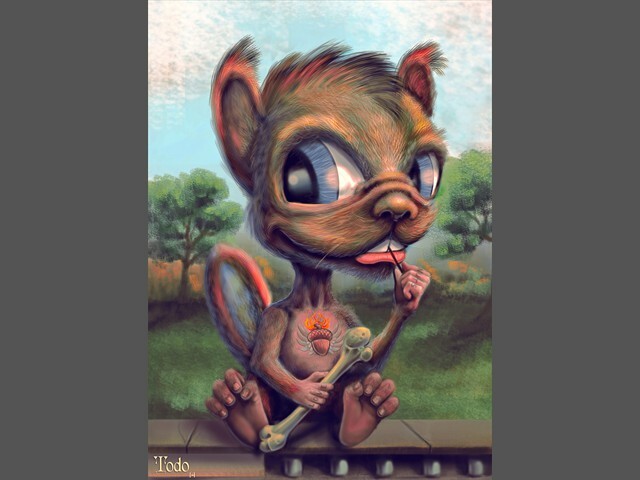 "Creature 2" was created in Digital using a Wacom Tablet. 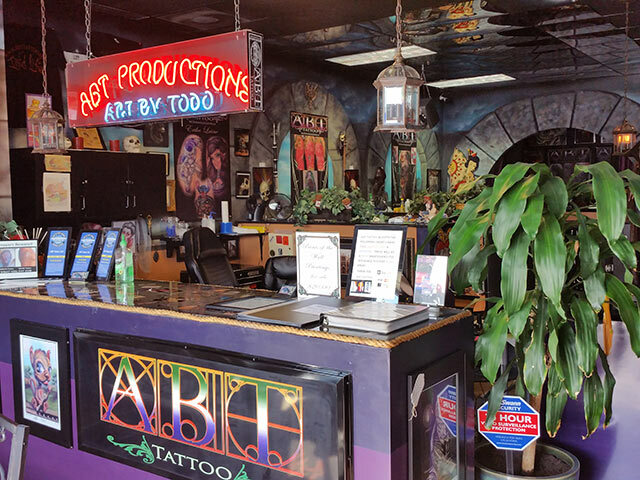 ABT Tattoo/ Art Gallery 1182 hwy 155 south McDonough, Georgia.